A prosecution witness yesterday gave a detailed account of how funds belonging to the Nigerian Airspace Management Agency (NAMA) were allegedly converted by some of its officials. The witness, Ade Babatunde, a staff of Stanbic IBTC Bank, gave the evidence at the resumed trial of a former NAMA Managing Director, Ibrahim Abdulsalam, charged with conversion of money to the tune of N6.8 billion. Abdulsalam is charged alongside other accused including a former General Manager of Procurement, Olumuyiwa Adegorite, and a former General Manager of Finance, Segun Agbolade. Others are a former acting General Manager of ICT, Bolaniran Akinribido, Sesebor Abiodun, and Joy Adegorite. Also charged are two limited liability companies, Randville Investment Limited, and Multeng Travels and Tours Limited. They are being prosecuted by the Economic and Financial Crimes Commission (EFCC). Oyedepo prayed the court for exhibit ‘A’ to be handed over to the witness for purposes of his evidence in chief, and asked the witness to tell the court about the transaction highlighted as exhibit 002. In response, the witness told the court that the said exhibit was in relation to the account statement of Segun Agbolade (third accused) with account number 9201060421. The witness described “002” to mean a transaction description or a narration for posting transactions. He told the court that between January 2 and 3, 2013, there were transactions with narration 002, for the transfer of N13.1 million from the account of Akinribido (fourth accused) to Agbolade (third accused). He said the transfer came in tranches of N3.1 million on January 2, and in two tranches of N5 million each, on January 3, 2013. According to the witness, the balance on Agbolade’s account as at January 3, 2013 stood at N27.8 million. The witness continued: “Still on January 3, 2013, the sum of N10 million was transferred to Randville Investment Ltd.
Oyedepo then itemised a list of transaction narration in exhibit 002 from January 9, 2013 to October 15, 2015, and asked the witness to tell the court where the said funds in the transactions emerged. In response, the witness told the court that all funds were pulled from the account of Akinribido to the third accused, (Agbolade). He added that specifically on January 17, 2013, there was a transfer of N10 million to Randsville Investment Limited. 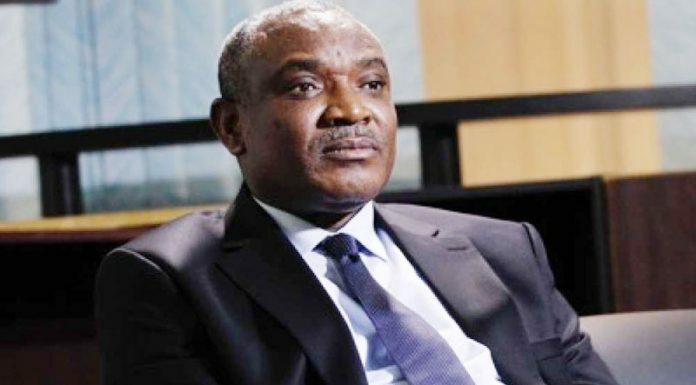 Moreso, the witness introduced Randville Investment Limited, as a corporate customer of his bank, and added that from the account opening document, the company is owned by Segun and Susan Agbolade. According to him, the mandate for the operation of the account, required the signature of either of the account holders, adding that Randville Investment Limited. maintained a total of 11 accounts with the bank. He told the court that between February 1, 2013, and February 25, 2013 there was also a transfer of the sum of N5 million from the account of the third accused to Multeng Travel and Tours Limited who were also corporate customers of his bank. According to him, the two signatories to the account of Multeng Travels and Tours are: Olumuyiwa Adegorite (second accused) and Joy Adegorite (fifth accused). He further told the court that on March 22, 2013, there were seven different transactions but specifically the sixth transaction revealed a monetary transfer of N3.5 million from the account of ex-NAMA MD (Abdulsalam) to Agbolade. He added that on June 17, 2013 there were two debit transactions in the sum of N6 million transferred in two tranches of N3 million each, to the account of Multeng Travels and Tours. The witness said that between January 22 and February 24, 2014, there was a transfer of N17 million by the third accused to Multeng Travels and Tours. He added that between Jan. 30 and February 5, 2015, there was also a transfer of a cumulative sum of over N15.5 million to Gidan Bureau de Change, Antopie construction company and Susan Agbolade. After listening to the testimony of the witness, Justice Babs Kuewumi adjourned the case to March 13, for continuation of trial. The charge was subsequently amended to include three more accused, and all accused persons where re-arraigned on April 12, 2016. They again, pleaded not guilty to the charge, and were admitted to bail in the sums of N20 million each, with two sureties each in like sum. The alleged offence is said to have contravened the provisions of sections 8 (a) of the Advance Fee Fraud and other Fraud Related Offences Act, 2006 and punishable under Section 1 (3).